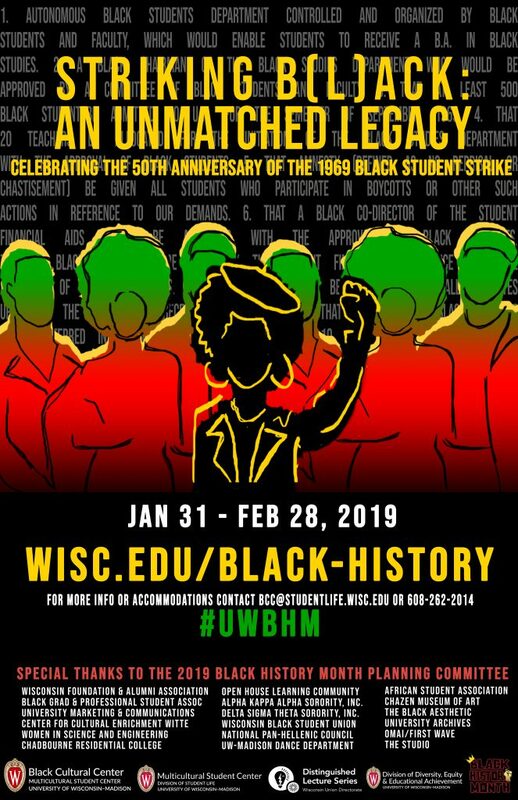 Visit wisc.edu/black-history for programs and events. Special thanks to the 2019 Black History Month Planning Committee. Fifty years ago, black students at UW–Madison, propelled by longstanding grievances and fresh flash points, called for a campus-wide student strike until administrators agreed to 13 demands. Joined by thousands of white allies, they boycotted classes, marched to the state Capitol, took over lecture halls and blocked building entrances. Those last actions spurred the governor to activate the Wisconsin National Guard. The protest, surging and ebbing over roughly two weeks in February 1969, was among the largest in the university’s history. Dubbed the Black Student Strike, it would forever change the campus. 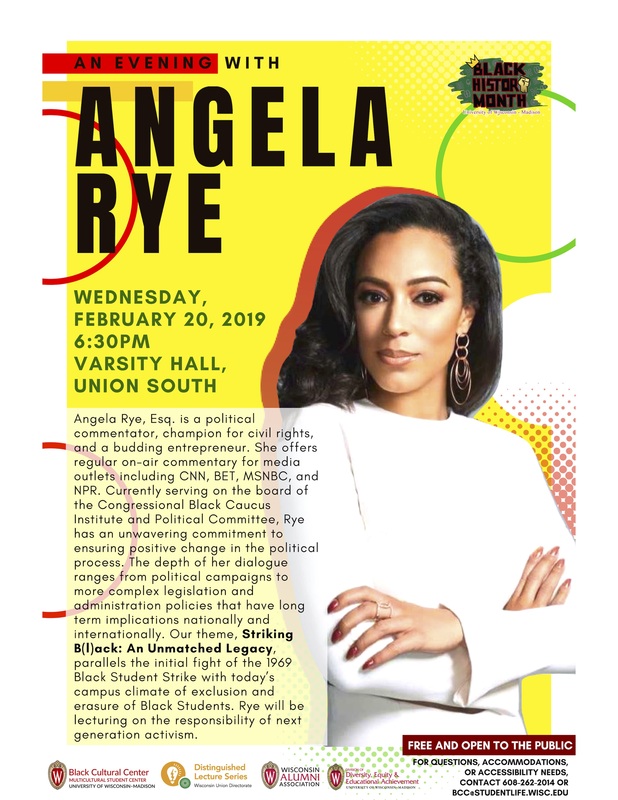 Angela Rye, Esq. is a political commentator, champion for civil rights, and a budding entrepreneur. She offers regular on-air commentary for media outlets including CNN, BET, MSNBC, and NPR. Currently serving on the board of the Congressional Black Caucus Institute and Political Committee, Rye has an unwavering commitment to ensuring positive change in the political process. The depth of her dialogue ranges from political campaigns to more complex legislation and administration policies that have long term implications nationally and internationally. Our theme, Striking B(l)ack: An Unmatched Legacy, parallels the initial fight of the 1969 Black Student Strike with today’s campus climate of exclusion and erasure of Black Students. Rye will be lecturing on the responsibility of next generation activism. Sign Language interpreting will be provided with CART captioning available upon request. If you need another accommodation to attend this event, please contact Kate Lewandowski at kate.lewandowski@wisc.edu. All accommodation requests should be made no less than two weeks before the event. We will do our best to fulfill requests made after this date. 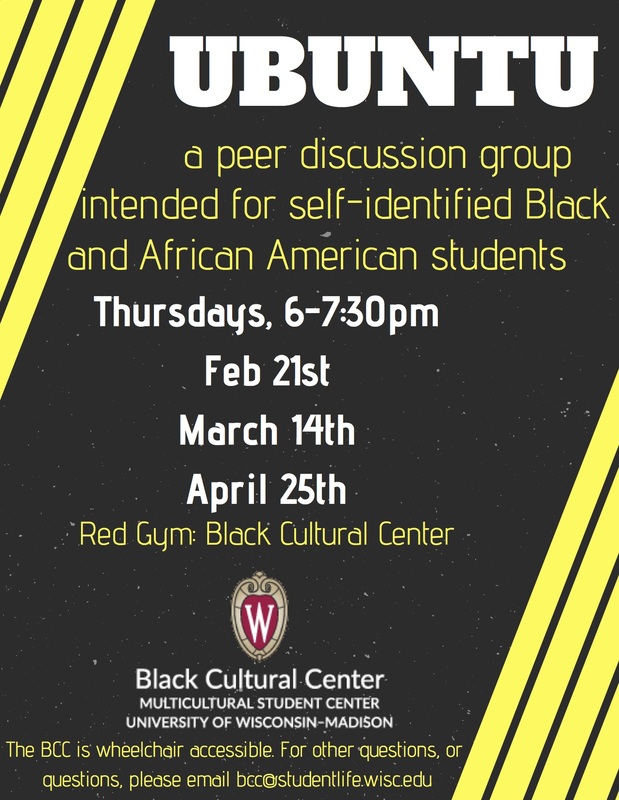 UBUNTU is a dialogue and support group intended for Black/African American students. Students are welcome to participate, listen, relax, and build community. 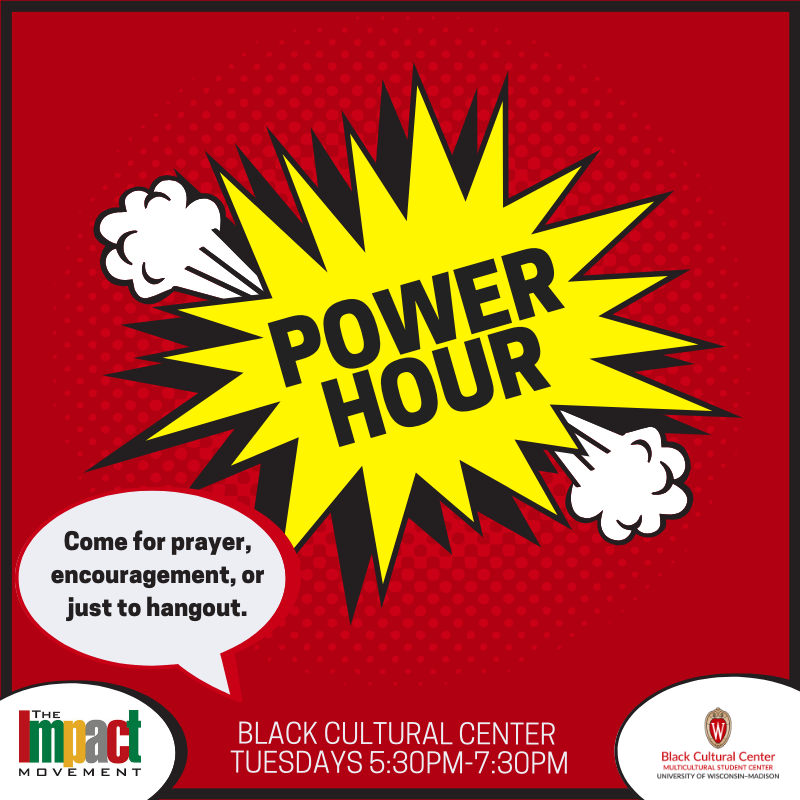 Come for prayer, encouragement, or just to hang out! 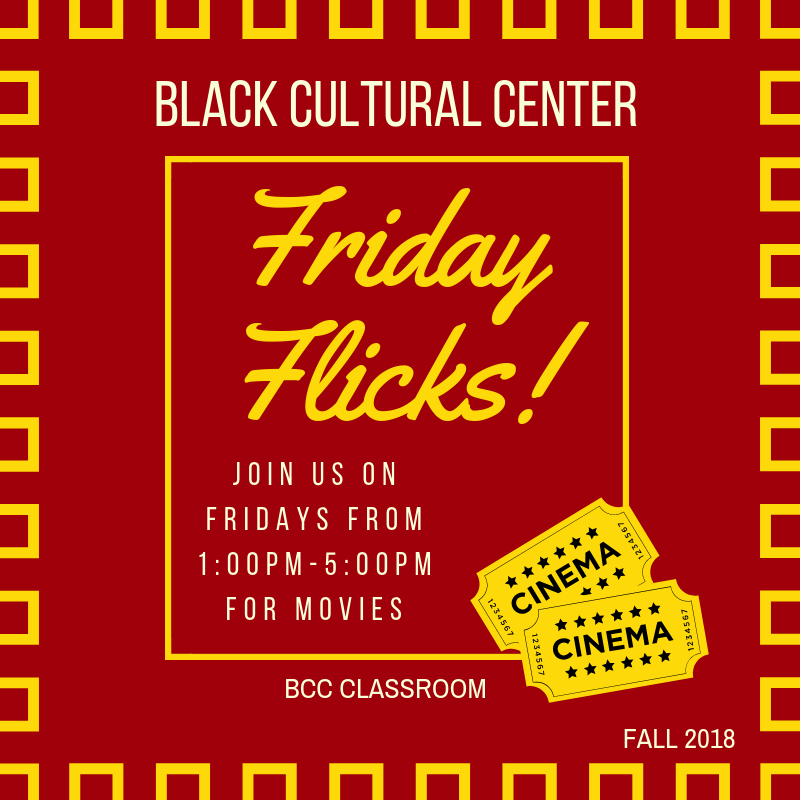 Join us on Fridays from 1pm to 5pm for movies and community building!